We are more than happy to offer Airport Transfers throughout Grenada to you. We take special care that you reach your desired destination as quickly and as comfortably as possible. 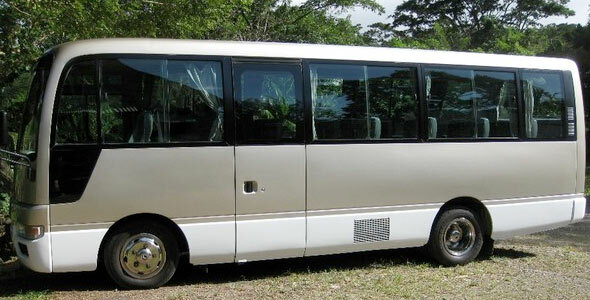 We utilize quality air conditioned vehicles that can accommodate a number of people very comfortably. Our drivers are know to share their knowledge of Grenada during your transfer making your travel time more pleasant and informative. Mandoo Taxi and Tours provides you with quality, informative, safe, and friendly taxi and tour services throughout Grenada. Mandoo will make sure that you reach your airport transfer and tour destinations in a safe, timely manner while experiencing his special Grenadian hospitality.